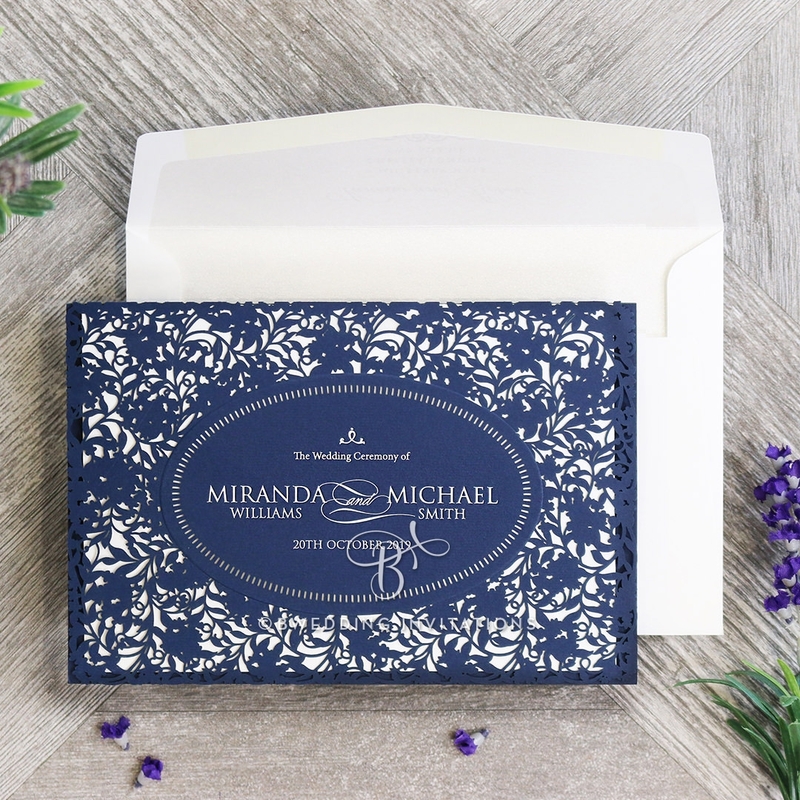 Give your guests a glimpse of your romance with this intimate laser cut pocket invite in majestic navy. 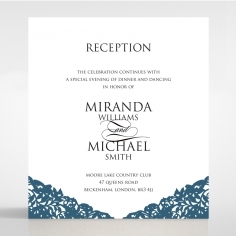 It is matched with an exquisitely presented inner card showcasing a breathtaking pattern of blooms and leaves that have been intricately laser cut into the white stock. 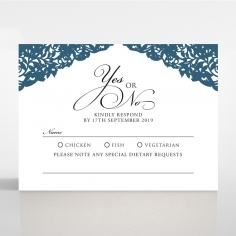 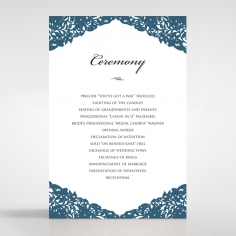 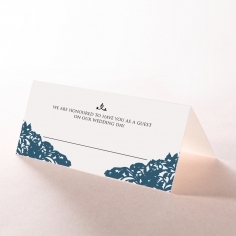 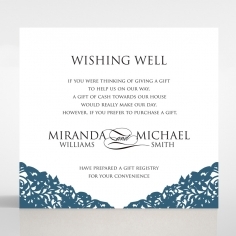 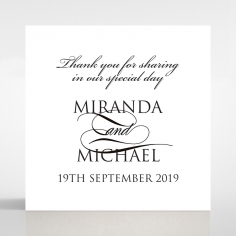 This ensemble opens to reveal the white card also embellished in luxurious matte silver foil and our signature raised ink used to print your personalized information with your choice of font style and layout. 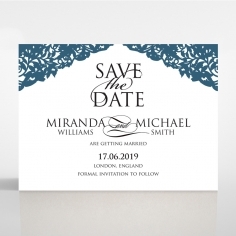 The raised ink is available in five different shades – red wine, black, dark grey, deep brown and Prussian blue, for you to choose from to suit your wedding theme. 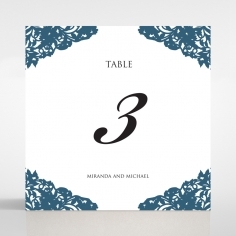 Matching accessory cards are available for this design and you can print your guest names on the envelopes for that personal touch. 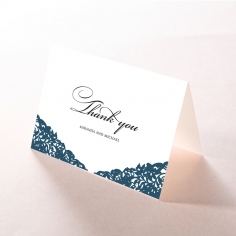 Printing:Hot Foil Stamping & Raised Ink. 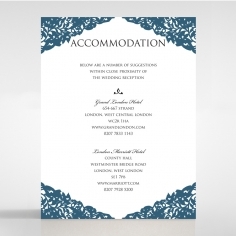 Flat Ink, If Guest Name Printing Is Required.